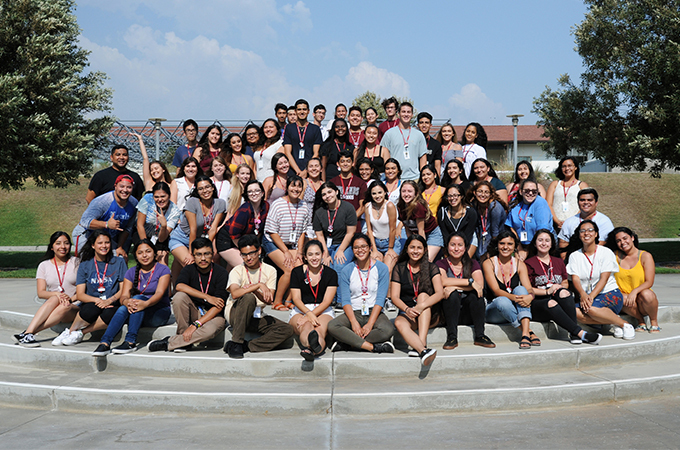 After months of planning, 75 incoming students recently arrived on the University of Redlands campus for the 14th annual Summer Bridge program, dedicated to easing the transition for first-generation college-bound students and/or California Grant recipients. The five-day program provided an early opportunity to meet with faculty, learn about the campus resources, and build community. After coordinating and implementing this year’s program with the help of three student leaders, I found there was something special about seeing it come together and hearing the gratitude of students who felt the program was worthwhile. Leela MadhavaRau, associate dean of campus diversity and inclusion and special advisor to the president, has seen the program grow since its inception in 2004. “Summer Bridge has always been one of the highlights of my year,” she said. “After 14 years, we have the structure down pat so we can concentrate on ensuring that the Bridge students receive an experience that will stand them in good stead for their first six weeks on campus and beyond. In addition to providing information about the University and the resources on campus, Summer Bridge included background on Serrano history and culture. “Native Student Programs appreciates collaborating with First Generation Student Programs on Summer Bridge, especially in a way that reorients students to the area and empowers them to think about their relationship to the land,” commented Native Student Programs Director Heather Torres. As we emphasized during the event, Summer Bridge conversations and connections do not end at the conclusion of the program; instead, the hope is that students continue to make lasting friendships and engage in difficult conversations as they navigate University of Redlands’ campus and culture over the next few years.